Clean cloth diapers by soaking them in a solution of 1/2 cup baking soda and 2 quarts water. Use produce washes? Make your own with a mixture of baking soda and water. Scrub fruits and vegetables with this mixture and a wet sponge. Need even more ideas? 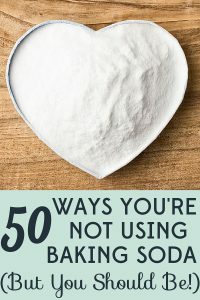 Check out Baking Soda: Baking Soda: Over 500 Fabulous, Fun, and Frugal Uses You’ve Probably Never Thought Of . Hi Mara! 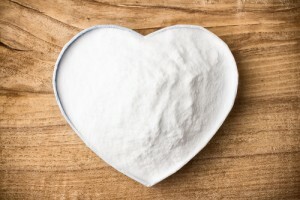 I linked your post on my blog because it shows some great ideas about using baking soda. You can check out the post if you’d like. http://delia-in-a-nutshell.com/diy/1312/ Have a great day! I add an 1/8 of a teaspoon to my bottled water to make it into alkaline water. Helps with weight loss and fills my body up with the right amount of alkaline to fight bad acids plus all of the helpful minerals. We use baking soda in our pool to bring the pH up. 1 or 2 boxes depending on how low the pH is. Saves LOTS of $$$ on chemicals that are sold in pool store (commonly called pH plus).